Federal policymakers should raise and index federal fuel taxes to address immediate funding needs for the vast network of infrastructure projects and transportation corridors nationwide, recommended authors of a National Academies of Sciences, Engineering and Medicine report published Dec. 6. Congress directed the National Academies to write the report as a way to identify best practices for ensuring long-term funding for big-ticket projects and the durability of national highways. “It’s clear that the additional funds are needed soon and there are really only two options practical in that regard. One is general funds. The other is increase the gas tax. So, that’s our short-term solution,” said Norman Augustine, chairman of the committee that produced the report, and the former chairman and CEO of Lockheed Martin Corp. The 24.4-cents-per-gallon diesel tax and 18.4-cents-per-gallon gas tax have not been raised since 1993. Congress under Republican and Democratic control has avoided raising the taxes, choosing instead to stabilize the trust fund through transfers from the federal general fund. The federal Highway Trust Fund assists state transportation departments with construction and maintenance programs. It is backed by revenues from the fuel tax, and in recent years that has been insufficient for the account to meet its obligations, due in part to more fuel-efficient vehicles. Recent funding uncertainty at the federal level has led state policymakers to approve increases in fuel taxes to adequately fund their transportation networks. Besides the fuel tax, members of Congress should consider expanding tolling and per-mile charges on motorists of the Interstate Highway System, lift the ban on tolling existing interstates and direct federal transportation officials to develop strategies for improving capacity along freight and commuter corridors, according to the report. Additionally, a multiyear renewal and modernization program should be established with the focus of “reconstructing deteriorated pavements, including their foundations, and bridge infrastructure.” The program also proposes increasing infrastructure resilience to severe weather events, such as floods. 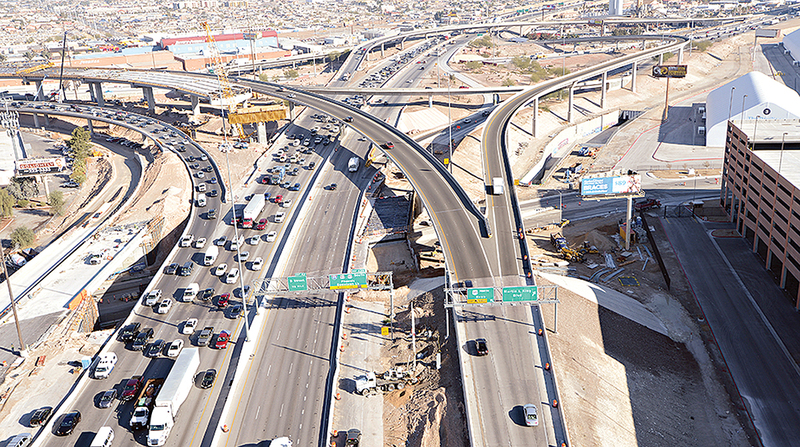 Faster construction methods, durable materials and automated vehicles have the potential of facilitating upgrades across the highway system, the authors determined. Over the years, transportation stakeholders have sounded the alarm about the need to upgrade roadways, tunnels and bridges. For instance, the American Society of Civil Engineers issued a D+ grade to the country’s overall infrastructure. The National Academies report’s authors briefed members of Congress about their recommendations. “Congress should prepare for the need to employ new federal and state funding mechanisms,” the report read. They also expressed a willingness to participate in further discussions as lawmakers prepare the next authorizing bill. The 2015 FAST Act highway law expires in about two years. After the midterm elections, President Donald Trump, Republican Senate leaders and the incoming Democratic leadership in the House expressed interest in crafting a multiyear infrastructure funding package. Rep. Peter DeFazio (D-Ore.), the incoming chairman of the Transportation and Infrastructure Committee, indicated Dec. 5 that he intends to finalize infrastructure policy legislation within six months, noting his caucus would collaborate with the White House and counterparts in the Senate. In previous years, DeFazio has been among the few lawmakers to tout a fuel tax increase. The House legislation would rely on federal dollars through existing accounts to ensure sustainable funding, DeFazio explained. The bill also would dedicate funds for resiliency programs, and incorporate a national vehicle miles traveled pilot program, similar to one in DeFazio’s home state. Trump’s 10-year, $1.5 trillion infrastructure plan that would rely largely on the private sector was not taken up by the Republican-led Congress this year.